A golden pack of delectable pasta, this *Whole Wheat Linguine is from the pasta maker Gentile. 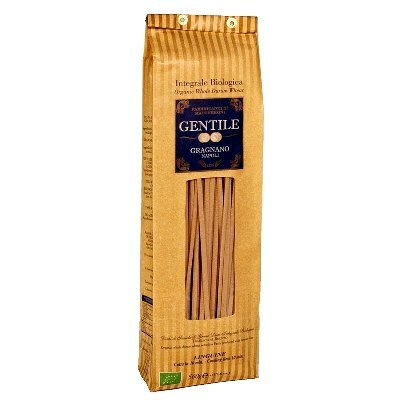 Made from whole wheat flour, this pasta is 100% organic. And its lovely bronze color is from safe and natural ingredients. You can serve it with tomato, cream, or just about any of your favorite sauce. Or just toss it with Parmesan cheese, or any cheese, and pepper to make your own Cacio e Pepe pasta dish. Whatever you may decide to do, one thing is certain–this delicious pasta will not disappoint you. So hurry and grab a golden bag now!